Artistic Rendering of Hassan-i-Sabbah, founder of the sect of Assassins. The Assassins (originally called Hashashim, Hashishin, or Hashashiyyin) were a religious sect of Ismaili Shi'a Muslims (from the Nizari lineage) originating in Persia, during the eleventh century C.E. This secret society was known to specialize in terrorizing the Crusaders, against whom they fearlessly executed political assassinations. Their militant views were put into practice for various political or religious purposes. However, historian Bernard Lewis argues that their efforts were not primarily directed at Crusaders, but also against Muslim rulers whom they saw as impious usurpers. The modern word "assassin" is derived from this group, which was thought to have been active from 1090 to 1272. 1 Etymology of the word "assassin"
Etymology of the word "assassin"
The name "assassin" is commonly believed to be a mutation of the Arabic hashshshin (حشّاشين), which allegedly derives from the drug hashish that was said to be used by the group before going into battle. However, there are those who dispute this etymology, arguing that it originates from Marco Polo's account of his visit to Alamut in 1273, in which he describes a drug whose effects are more like those of alcohol than of hashish. However, alcohol is not likely to have been the drug described, being totally prohibited by the Muslim faith. It is suggested by some writers that assassin simply means "followers of Al-Hassan" (or Hassan-i-Sabah, the Sheikh of Alamut)). Others suggest that since hashish-eaters were generally ostracized in the Middle Ages, the word "Hashshashin" had become a common synonym for "outlaws." So the attribution of Hassan's Ismaili sect with this term is not necessarily a clue for drug use. Some common accounts of their connection with hashish are that these "assassins" would take hashish before missions in order to calm themselves; others say that it helped to boost their strength, and turned them into madmen in battle. Yet other accounts state it was used in their initiation rites in order to show the neophyte the sensual pleasures awaiting him in the afterlife. The connection between their mysticism and that drug is not something subject to reliable or consistent historical accounts; this is not surprising given their secrecy and infamy. The word Hashish (of probable Arabic origin) refers to resin collected from cannabis flowers. This could be the true drug of the Assassins as described by Marco Polo. The most acceptable etymology of the word assassin is the simple one. It comes from Hassan (Hasan ibn al-Sabbah) and his followers. The noise around the hashish version was invented in 1809, in Paris, by the French orientalist Sylvestre de Sacy, whom on July 7 of that year, presented a lecture at the Academy of Inscriptions and Fine Letters (Académie des inscriptions et belles lettres)—part of the Institute of France—in which he retook the Marco Polo chronicle concerning drugs and this sect of murderers, and associated it with the word. Curiously, his theory had great success and apparently still has (Jacques Boudet, Les mots de l’histoire, Ed. Larousse-Bordas, Paris, 1998). Many scholars have argued, and demonstrated convincingly, that the attribution of the epithet "hashish eaters" or "hashish takers" is a misnomer derived from enemies of the Isma'ilis and was never used by Muslim chroniclers or sources. It was therefore used in a pejorative sense of "enemies" or "disreputable people." This sense of the term survived into modern times with the common Egyptian usage of the term Hashasheen in the 1930s to mean simply "noisy or riotous." It is unlikely that the austere Hasan-i Sabbah indulged personally in drug taking. …There is no mention of that drug [hashish] in connection with the Persian Assassins—especially in the library of Alamut ("the secret archives"). According to texts that have come down from Alamut, Hassan liked to call his disciples Assassiyun, meaning people who are faithful to the Assass, the "foundation" of the faith. This may be the word, misunderstood by foreign travelers, that seemed similar to "hashish." Their own name for the sect was al-da'wa al-jadīda (Arabic:الدعوة الجديدة) which means, "the new doctrine." They called themselves fedayeen from the Arabic fidā'ī, which means "one who is ready to sacrifice their life for a cause." The group inspired terror out of all proportion to their scant numbers and territory. The members were organized into rigid classes, based upon their initiation into the secrets of the order. The devotees constituted a class that sought martyrdom and followed orders with unquestioned devotion, orders which included assassination. The group transformed the act of murder into a system directed largely against Seljuk Muslim rulers who had been persecuting their sect. They were meticulous in killing the targeted individual, seeking to do so without any additional casualties and innocent loss of life, although they were careful to cultivate their terrifying reputation by slaying their victims in public, often in mosques. Typically they approached using a disguise; and they rejected poison, bows, and other weapons that allowed the attacker to escape, their weapon of choice being a dagger. For unarmed combat, the Hashshashin practiced a fighting style called Janna, which incorporates striking techniques, grappling, and low kicks. However, under no circumstances did they commit suicide, preferring to be killed by their captors. Map of the crusader states, showing the area controlled by the Assassins around Masyaf, slightly above the center. Although apparently known as early as the eighth century, the foundation of the Assassins is usually marked as 1090 C.E. when Hasan-i Sabbah established his stronghold in the Daylam mountains south of the Caspian Sea at Alamut. Hasan set the aim of the Assassins to destroy the power of the Abbasid Caliphate by murdering its most powerful members. Much of the current western lore surrounding the Assassins stems from Marco Polo's supposed visit to Alamut in 1273 C.E., which is widely considered fictional (especially as the stronghold had reportedly been destroyed by the Mongols in 1256). Benjamin of Tudela, who traveled one hundred years before Marco Polo mentions the Al-Hashshashin and their leader as "the Old Man." He notes their principal city to be Qadmous. Notable victims included Nizam al-Mulk (1092; although some historical sources contradict this claim), the Fatimad vizier al-Afdal Shahanshah (1122), ibn al-Khashshab of Aleppo (1124), il-Bursuqi of Mosul (1126), Raymond II of Tripoli (1152), Conrad of Montferrat (1192), and Prince Edward, later Edward I of England, was wounded by a poisoned assassin dagger in 1271. 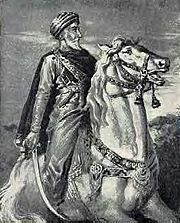 It is believed that Saladin, incensed by several almost successful attempts on his life, besieged their chief Syrian stronghold of Masyaf during his reconquest of Outremer in 1176, but quickly lifted the siege after parley, and thereafter attempted to maintain good relations with the sect. The Hashshashin were often motivated by outsiders. The murder of the Patriarch of Jerusalem, for example, was instigated by the Hospitallers. It is rumored the assassins of Conrad of Montferrat may have even been hired by Richard the Lionheart. In most cases they were aimed at retaining the balance of the Hashshashin's enemies. The power of the Hashshashin was destroyed by the Mongol warlord Hulagu Khan. During the Mongol assault of Alamut on December 15, 1256, the library of the sect was destroyed, along with much of their power base, and thus much of the sect's own records were lost; most accounts of them stem from the highly reputable Arab historians of the period. The Syrian branch of the Hashshashin was destroyed in 1273, by Mamluk Saltan Baibars. The Hashshashin, in 1275, captured and held Alamut for a few months but their political power was lost and they were eventually absorbed into other Isma'ilite groups. They continued being used under the Mamluks, Ibn Battuta recording in the fourteenth century their fixed rate of pay per murder. Legends abound as to the tactics used to induct members into what became a quasi-religious political organization. One such legend is that future assassins were subjected to rites similar to those of other mystery cults in which the subject was made to believe that he was in imminent danger of death. But the twist of the assassins was that they drugged the person to simulate a "dying" to later have them awaken in a garden flowing with wine and served a sumptuous feast by virgins. The supplicant was then convinced he was in Heaven and that the cult's leader, Hassan-i-Sabah, was a representative of the divinity and that all of his orders should be followed, even unto death. This legend derives from Marco Polo, who visited Alamut after it fell to the Mongols in the thirteenth century. Other accounts of the cult's indoctrination claim that the future assassins were brought to Alamut at a young age and, while they matured, inhabited the aforementioned paradisaic gardens and were kept drugged with hashish; as in the previous version, Hassan-i-Sabah occupied this garden as a divine emissary. At a certain point (when their initiation could be said to have begun) the drug was withdrawn from them, and they were removed from the gardens and flung into a dungeon. There they were informed that, if they wished to return to the paradise they had so recently enjoyed it would be at Sabbah's discretion, and that they must therefore follow his directions exactly, up to and including murder and self-sacrifice. Medieval Europeans—and especially the Crusaders—who remained ignorant of Islam as a religion and of its internal divisions were also responsible for fabricating and disseminating (in the Latin Orient as well as in Europe) a number of interconnected legends about the secret practices of the Nizaris, the so-called “assassin legends.” In particular, the legends sought to provide a rational explanation for the seemingly irrational self-sacrificing behavior of the Nizari fida’is; as such, they revolved around the recruitment and training of the youthful devotees. The legends developed in stages from the time of Sinan and throughout the thirteenth century. Soon, the seemingly blind obedience of the fida’is to their leader was attributed, by their occidental observers, to the influence of an intoxicating drug like hashish. There is no evidence that suggests that hashish or any other drug was used in any systematic fashion to motivate the fida’is. The assassin legends culminated in a synthesized version that was popularised by Marco Polo, who combined the hashish legend with a number of other legends and also added his own contribution in the form of a secret “garden of paradise,” where the fida’is supposedly received part of their training. By the fourteenth century, the assassin legends had acquired wide currency in Europe and the Latin Orient, and they were accepted as reliable descriptions of the secret practices of the Nizari Ismailis, who were generally portrayed in European sources as a sinister order of drugged assassins. Subsequently, Westerners retained the name assassins as a general reference to the Nizari Ismailis, although the term had now become a new common noun in European languages meaning “murderer.” It was A.L. Silvestre de Sacy (1758—1838 C.E.) who succeeded in solving the mystery of the name and its etymology, although he and the other orientalists continued to endorse various aspects of the assassin legends. Modern scholarship in Ismaili studies, which is based on authentic Ismaili sources, has now begun to deconstruct the Assassin legends that surround the Nizari Ismailis and their fida’is—legends rooted in hostility and imaginative ignorance. ↑ Dictionary.com, Assassin. Retrieved February 1, 2008. ↑ Bernard Lewis, The Assassins (London: Weidenfeld and Nicolsön, 1967), p 145. ↑ Edward Burman, The Assassins: Holy Killers of Islam. ↑ A.L. Silvestre de Sacy, “Memoir sur La Dyanastie des Assassins, et sur L’Etymologie de leur Nom.” Memoires de sins, et sur l’Institut Royal de France 4(1818): 1-84. Daftary, Farhad. The Assassin Legends: Myths of the Isma'ilis. London: I. B. Tauris & Co. Ltd, 1994. Meri, Josef W., ed. Medieval Islamic Civilization, An Encyclopaedia. New York: Routledge, 2006. Miland Brown, The Assassins of Hassan-i-Sabah. This page was last modified on 20 April 2016, at 20:04.